The low yellow alert remains in place until 5am. 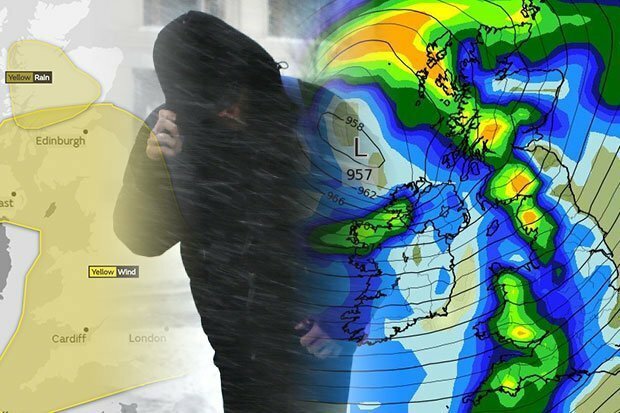 The storm was named by Irish weather service Met Éireann, which has issued an orange warning for Counties Donegal, Galway, and Mayo. Gardaí across Galway and Mayo say while conditions have deteriorated, all routes are passable and there has been no contact from the public in relation to debris or fallen trees on any roads. The wind warning along the south coast of England lapses on Friday evening but a wind warning extends over more of England into north Wales during Saturday. Gusts of between 50mph-70mph have been forecast, with the latter described as more likely along exposed coastal areas. People are advised to avoid exposed coastal walks and to take precautions with property, boats etc. "Bear in mind that there is a risk of coastal flooding on Atlantic coasts in particular: only drive through water if you know it's not too deep for your vehicle". Police Scotland are also warning motorists to travel with caution and be prepared for hazardous conditions.